On 2nd October and 3rd October 2018, PlanCon, a new conference tailored to Contact Centre Professionals and WFM Heroes took place in London. PlanCon is designed to provide the inspiration, education and connections to accelerate and master Contact Centre Planning, through a mixture of inspiring keynotes, panel discussions, WFM best practice sessions and networking galore. A selection of our expert talks from PlanCon 2018 is now available online. So grab a cup of coffee, make yourself comfortable and enjoy the latest insights from leading WFM experts right from your screen. An expert presentation reflecting on how Resource Planning and WFM have evolved in the past 10 years and how they will (or won’t) change in the next 10 years. Presented by John Casey, Resource Planning Expert at CCplanning. Expert talk with top tips and best practices for contact centre Resource Planning. Presented by Phil Anderson, Head of Best Practice (Planning) at The Forum. Inspiring keynote on how to break down the old 'Planning vs Ops‘ ethos in contact centres. Jason Bartram, Head of Resource Planning at Ombudsman Services shares insights, practical tips and the benefits that they experienced in the process. An overview of the most important problems contact centres face in planning and how to tackle them. An inspiring keynote by Jonty Pearce, Editor at Call Centre Helper. If you want to take your WFM Know-How to the next level, PlanCon is a must-attend event for you. 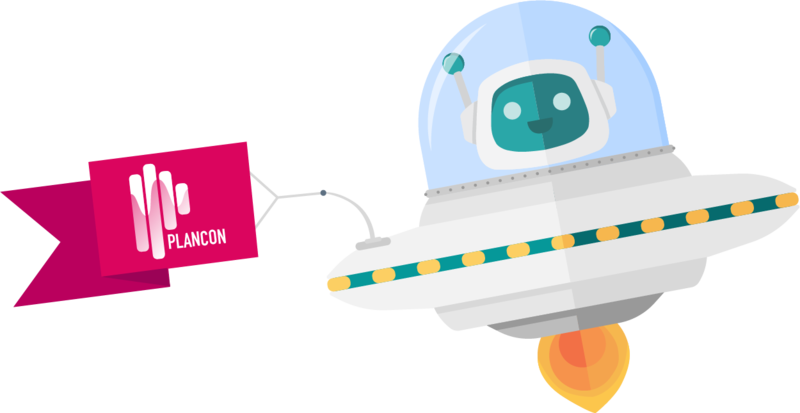 In 2019, PlanCon will take place in the UK and for the first time also in Germany. Seats are limited. To maximize your chance of being part of it, subscribe to our blog newsletter at the top right of this page. We will inform you as soon as the location and exact date have been set.